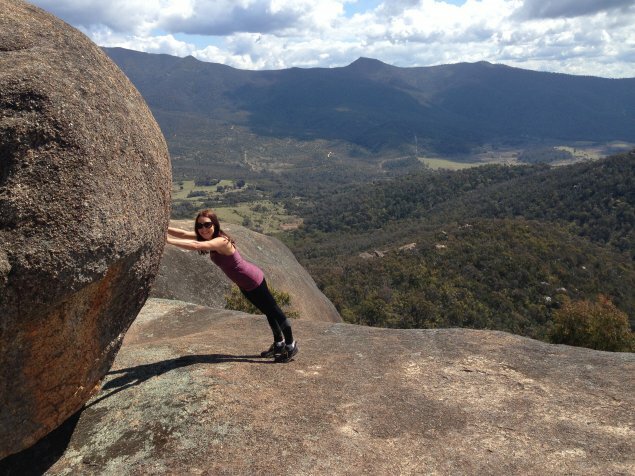 The Gibraltar Peak hike in the Tidbinbilla Nature Reserve is one of my favourite hikes in Canberra. It’s a good workout to get up there and the views are spectacular. I could spend a few hours up there on a sunny day having a picnic, lying in the sun and chatting to friends. I did this hike about a year ago, but during one of the long weekends, I decided to hike up Gibraltar Peak for a second time taking a friend along who was new to Canberra. After doing the Nil Desperandum homestead walk earlier that day, we still had some energy to do another hike and with such a brilliant day, it was worth putting a few more kilometres in. The Gibraltar Peak hike starts from the Dalsetta carpark and is 8.2km return. The first section takes you over grass plains through kangaroo grazing areas before you start the descent up. 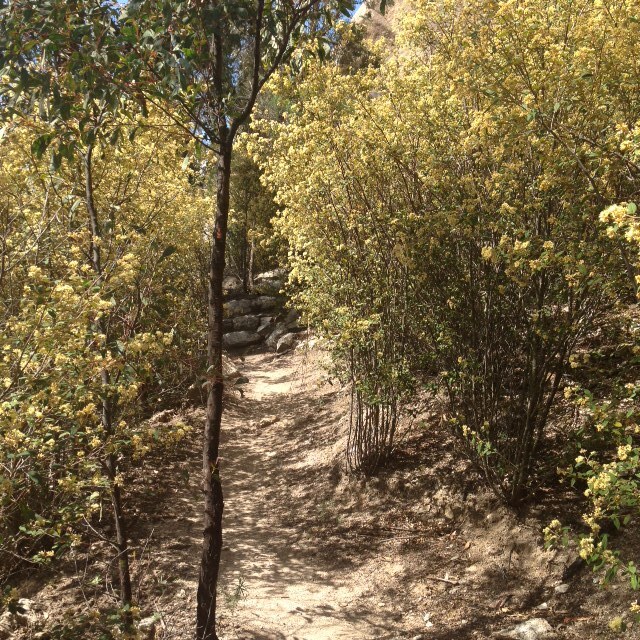 The path is well maintained and is a winding switchback trail that gently inclines upwards to the peak. About halfway up, there’s a table and benches for you to take a break on before hiking the remaining 1.8km. It’s a nice time of year to head up to Gibraltar Peak with light yellow flowers framing the trail just near the established lookout point. You may think you’re done when you reach the lookout point but it’s another 5-10 minute ascent up rock steps to get to the very top. But the views are worth it. 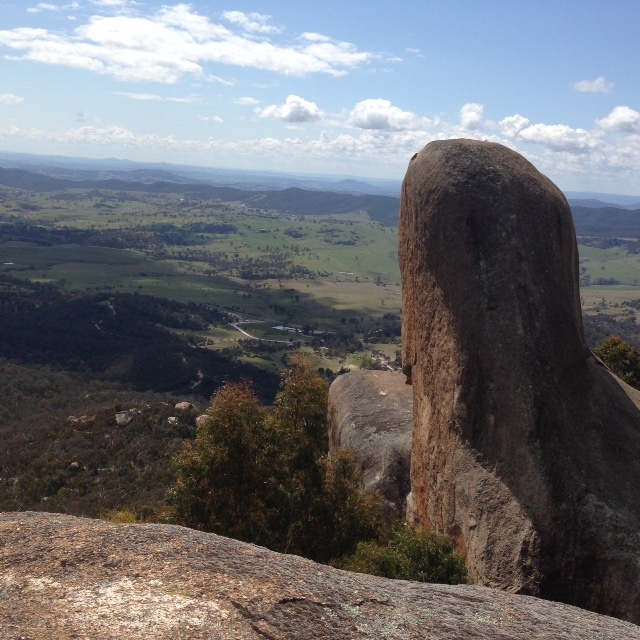 Bring some snacks up and have a picnic on top of the boulders and look out across the reserve and over to the Black Mountain Telstra Tower. 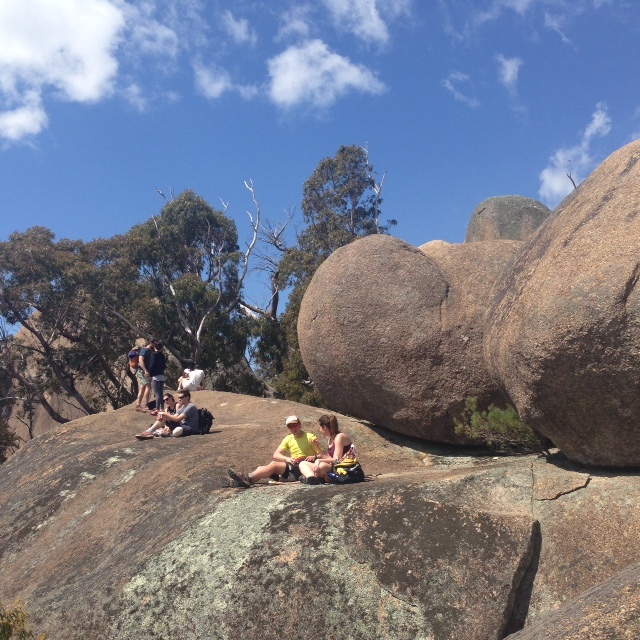 This seems one of the more popular hikes in the region with a lot of people gathered up there around midday ranging from families, couples and tourists. All up it takes about an hour up and about 45 minutes back down. Once you’ve headed back down the hill, you may want to head down to the Cotter Recreation Area or Casuarina Sands, which are about a 15 minute drive from the visitor centre. My friend and I did just that, grabbing an ice cream after hiking nearly 20km that day and dipping our feet into the Cotter Creek at the recreation area to soothe our tired feet. 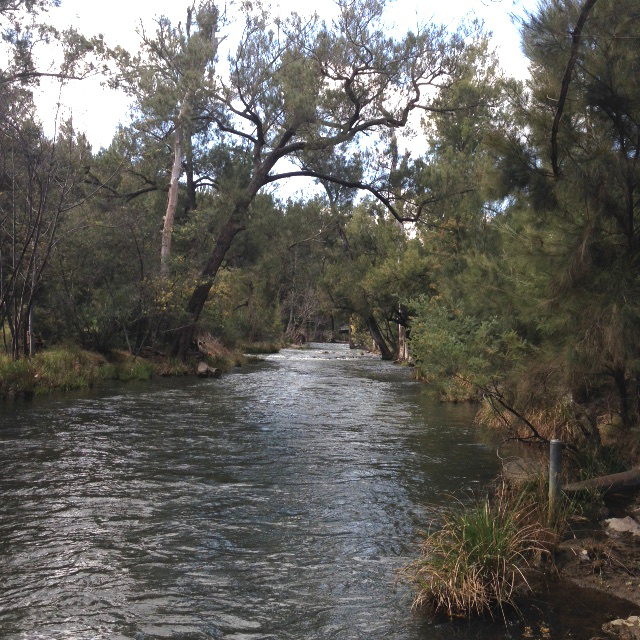 This is a great spot for families with the creek, a large playground and also a short walk to the lookout point. If you’re not up for ice cream, there was also a coffee stall in the carpark. From there, it’s only about a 30 minute drive back to Canberra after a day well spent. Make sure you take the new winding foot track. It has a much more gentle slope, and is much more scenic. Its starts at the Dalsetta carpark. Do not take the Fire trail. Its quicker, but steep, and not nearly as scenic.